Zalandos new office in the capital of Germany will make room for 5 000 employees. Zalando continues to grow and when the report for this year’s third quarter was released, the fashion giant announced it planned on reaching €3 billion in revenue for 2015. And with higher sales there is not only a need for more storage room. The e-retailer has now revealed it is to construct a seven floor building in Berlin with 100,000 square metres of office space. - Now it is official. We are planning a Zalando Campus in the district of Kreutzberg/Friedrichschain next to the Mercedes Benz Arena, where our headquarters are located today, writes Zalando on its website. 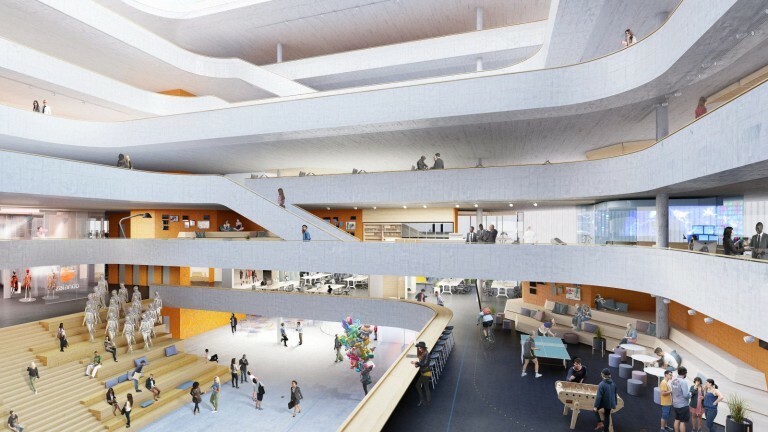 Zalando Campus, which is the official name of the new office building, is set to be finished by 2018. By then the house will house 5,000 employees. Zalando Campus has been designed by Henn Architects who won a contest Zalando had announced for the purpose exclusively.